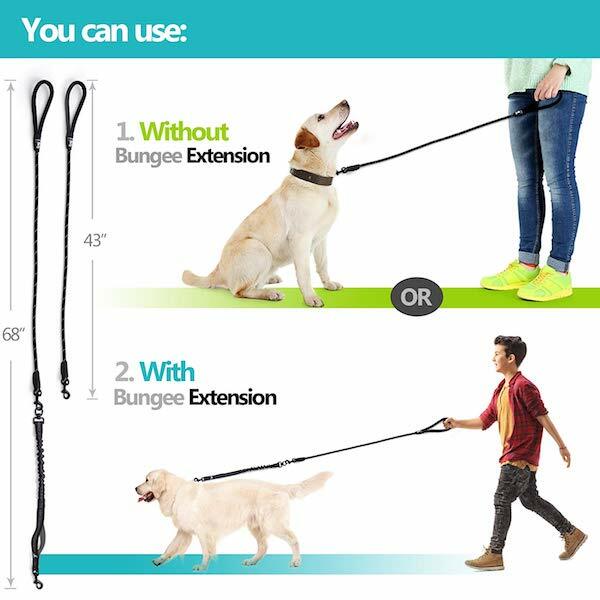 But the bungee is the first major development to the dog leash since 1908 when the retractable leash was invented. 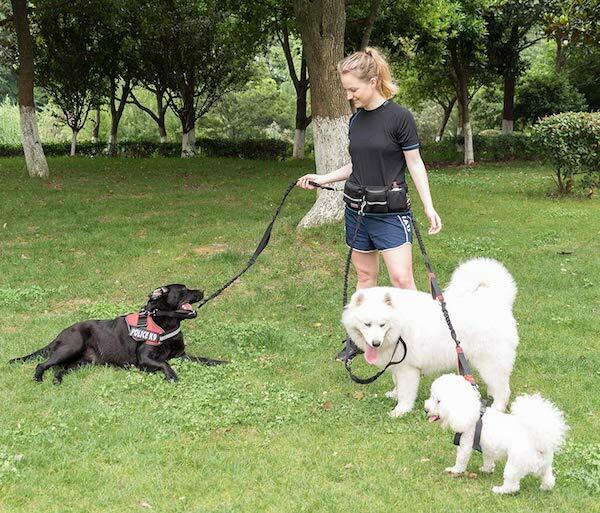 Bungees, as you may know, are used to absorb the shock of a sudden pull, so in a dog leash, bungees act to lessen the effect of a dog’s pull on you and on your dog. But your dog should already be trained not to pull, so I would not put a bungee leash on your dog until he is trained to walk by your side. 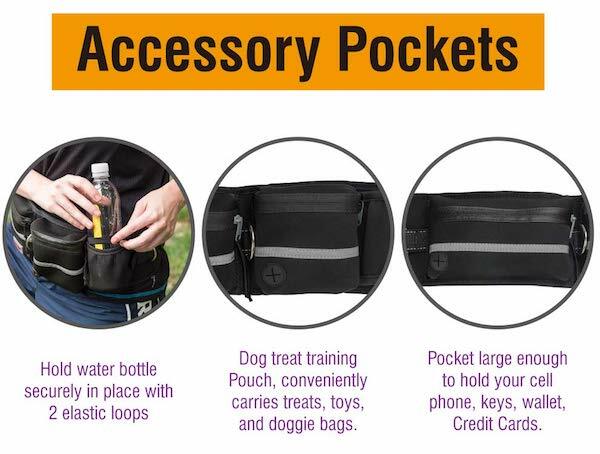 Once your dog is trained to heel, you may choose to use a bungee cord leash, but I would only use it occasionally, when you’re walking in a park or on a trail – on a pleasure walk. This is because the bungee will teach your dog that he can pull. 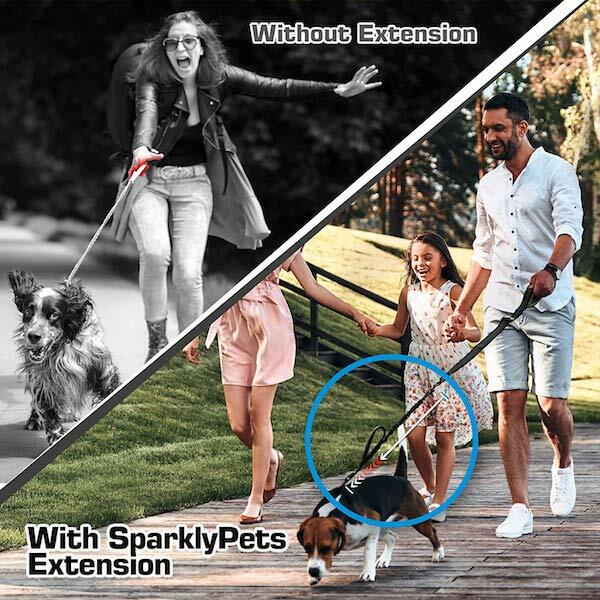 The SparklyPets is a very sturdy leash, as its 5-year guarantee would suggest. It has two parts, a strong but smooth rope leash that is very comfortable for you to handle, and a bungee extension. The bungee segment attaches to your dog’s collar or, hopefully, a no-pull harness. 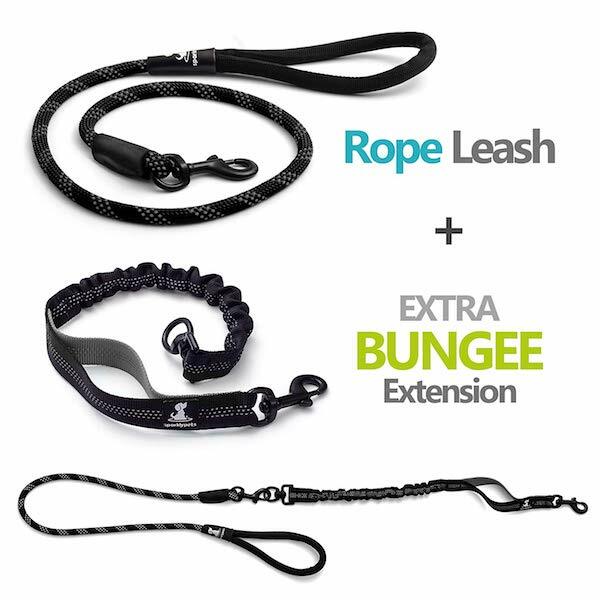 The bungee segment smartly includes a grip near the leash hook in case your need to stop your dog up close and personal…. 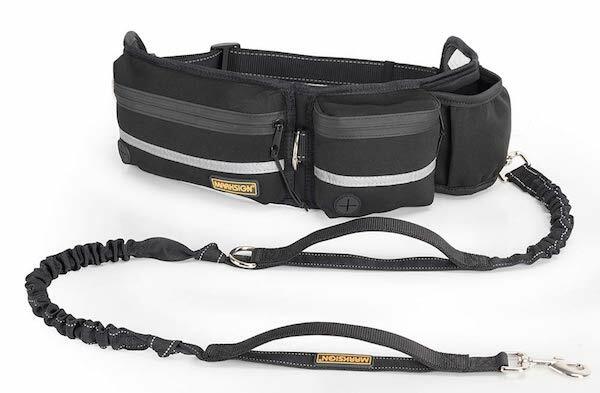 The Furry Buddy comes in black and gray with one leash or a double leash. It is recommended for medium and large dogs. 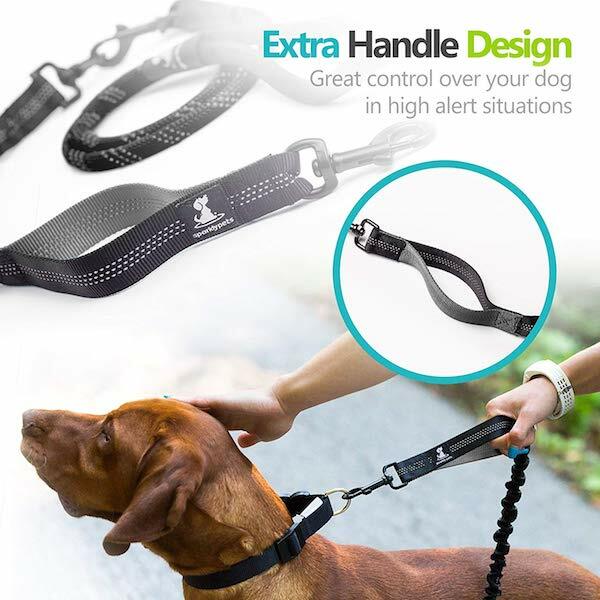 One customer reports “This thing withstands the stress of 2 Rottweilers and a German Shepard at the same time,” and while most reviews of the Furry Buddy tend to mirror this comment, some customers report that the leashes are not strong enough when their dogs pull. Again, I think this type of leash is good for dogs who are already trained to heel and pull only occasionally. That’s the buzz for today!